For the Dad Who Can't Get Enough "Top Gun"
Remember when “Top Gun” came out? Remember how everyone fell over themselves to buy a pair of Ray-Ban aviators. Chances are your dad has considered aviators at some point, but we’ve got something better. Instead of letting dad look like every other person on the street with their flimsy metal frames, upgrade him to the Veronique Branquinho leather wrapped aviators produced by famed eyewear company Linda Farrow. Like all Linda Farrow sunglasses, these feature excellent Japanese production, lenses that meet the highest UV protection standards, and a look that’s equal parts classic and modern. 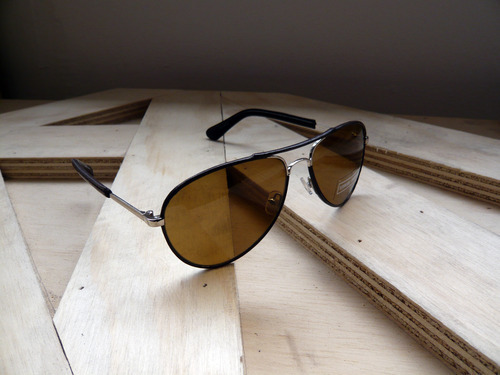 Brown leather covers the front of the frame and the arms for a luxe look that will make sure dad looks like a “Maverick” who follows his own rules. Or maybe just that he has really great taste in sunglasses.